Dispatch Games launches online store. Penguin Wars has been delayed from its previously scheduled May 15 release date in North America and Europe to mid-to-end of June, publisher Dispatch Games announced. 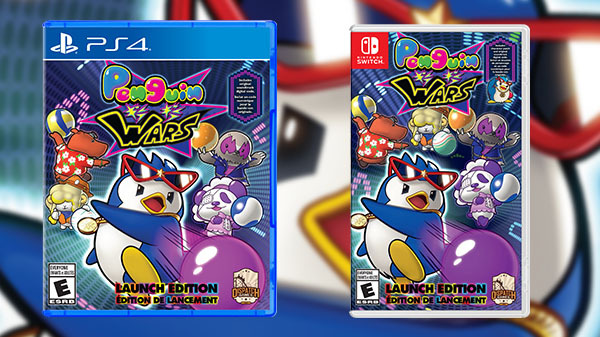 The company also announced that it will sell a $39.99 “Launch Edition” of the PlayStation 4 and Switch versions of Penguin Wars exclusively via its newly launched online store. Limited to 5,000 copies, the Launch Edition will include a PC-based digital download code for the complete Penguin Wars soundtrack. The Switch version will also include a physical, threaded, heat-cut Riley character patch. The PlayStation 4 and Switch versions of Penguin Wars will also be sold at retailers (and the Dispatch Games Online Store) as a $29.99 standard physical edition. The Xbox One version will be digital-only.